Playa del Carmen offers beautiful caribbean reefs, only a few minutes away by boat, ranging from shallow reefs to deep walls and canyons. 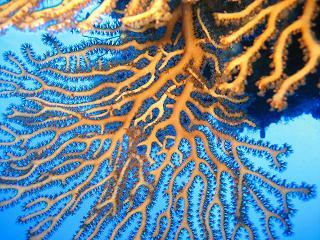 The uncrowded dive sites give magnificent and rich views of coral, sponges and many species of fish. Between the fauna, we find turtles, moray eels, stingrays, eagle rays, tarpons, groupers, nurse sharks and of course an impressive array of colorful tropical fish. 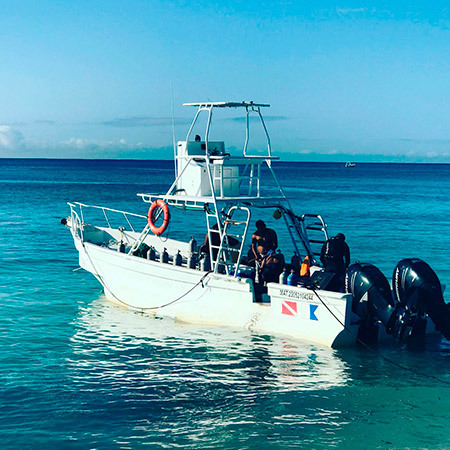 The crystal clear water (visibility between 60-100 ft / 20-30 mts) and the warm water temperature (78-85 F / 25-30 C) allow for diving the reefs all year round. Due to a permanent mild current, the dives are drift dives, letting us enjoy and safely ride through the amazing coral reef. 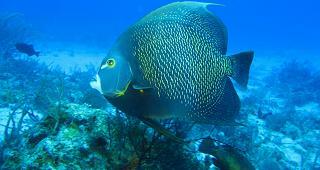 Cozumel reef diving is some of the best available in the world. 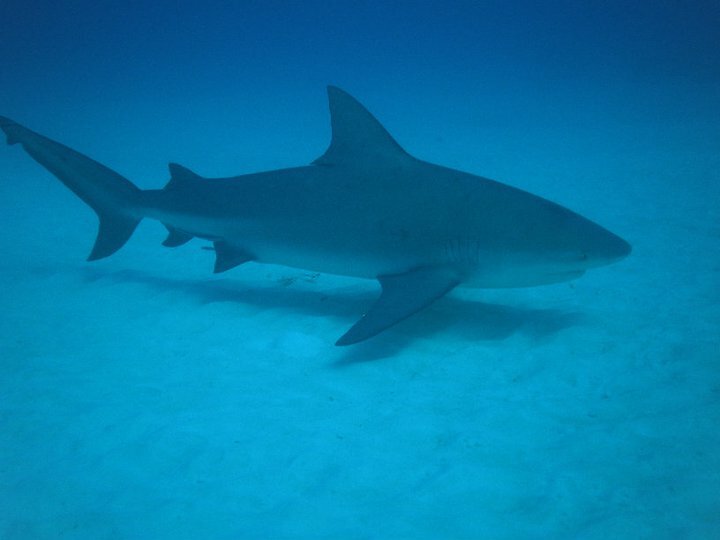 It is home to a variety of underwater vistas and a variety of locations appropriate to all experience levels, from spur and groove reefs to walls that drop off into great blue depths. Swim troughs and impressive marine life are experiences a diver can enjoy every day. 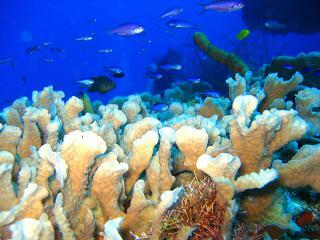 Warm water, a wide range of turquoise-blue colors and mild currents make Cozumel reef diving a unique experience.